Auckland is New Zealand’s most populous city with over 1.3 million people; it’s affectionately known as the ‘City of Sails’ due to Aucklander’s love of the water. There is an abundance of world class dining and plenty of shopping to keep you entertained during your stop in Auckland – the temperate climate makes this city a pleasant place to visit. There is a strong Maori heritage in Auckland, with a distinct Polynesian influence, as well as plenty of other ethnicities from Europe, the South Pacific and Asia. Auckland is surrounded by breathtaking scenery, beautiful beaches, and popular islands such as Waiheke, Great Barrier and Rangitoto. Please click here to read more about New Zealand day tours around other parts of our beautiful country. 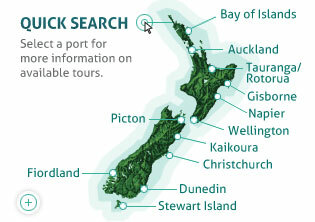 From your ship’s berth you can easily discover our famous, 100% pure New Zealand. In just one day, we take in verdant rainforest, surf-pounded beaches, iconic volcanoes, cascading waterfalls, expansive plains and wine farms before enjoying one of the city’s most charming and historical quarters. Join us on a journey through pristine rainforest, to untamed beaches and among perfectly terraced vines, all shaped by Auckland's volcanic beginnings. 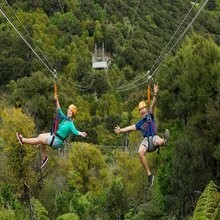 Located on beautiful Waiheke Island, just 35-mins by fast ferry from central Auckland, EcoZip offers nature lovers young and old, a state-of-the-art, dual zipline (flying fox) and NZ native forest experience. 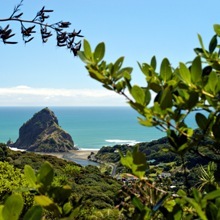 An hour north of Auckland is the Matakana coast. Home to thriving wineries, artists' enclaves and unique cottage industries, Matakana is where Aucklanders go to escape the bustle of the city. If you'd like to spend a day marvelling at unspoilt countryside, browsing boutique shops and galleries, and exploring riverside towns and tranquil beaches then this tour is for you. 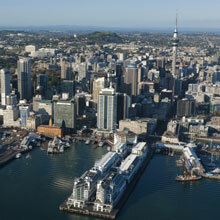 Come explore the landmark of the Auckland region and see Auckland city from another perspective. 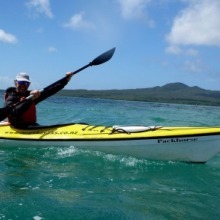 Auckland is one of the world’s most unique sea kayaking location. 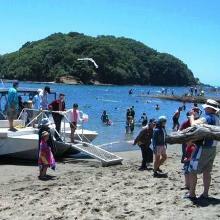 It is a region of exceptional natural beauty, volcanic islands, sandy beaches and is abundant with wildlife. 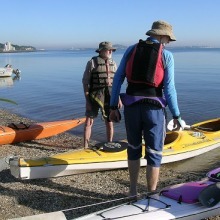 The sheltered waters of the Waitamata Harbor make it a kayaker’s paradise and are waiting to be discovered. Motukorea meaning, island of the pied oystercatcher bird, is one of the best preserved volcanoes in the Auckland Volcanic Field. Private boats and kayaks are the only means of access to this untouched island.